Nella Dan was a legend among polar ships, and only a small number of renowned ships have left a similar legacy in Arctic and Antarctic exploration. Her track record of 85 trips and half a million nautical miles in Antarctica – or 24 times around the Earth – made her, among other things, the ship in Australian service with the most miles and the longest period beset in the ice. Built by Aalborg Shipyard, she was launched in 1961 and sank on Christmas Eve in 1987. Hundreds of men and women travelled on the little, indomitable red ship, which even during the most perilous times in the Roaring Forties and the Furious Fifties, provided a safe home to the Danish crew, guests, international research teams and Australian staff for the bases in Antarctica. 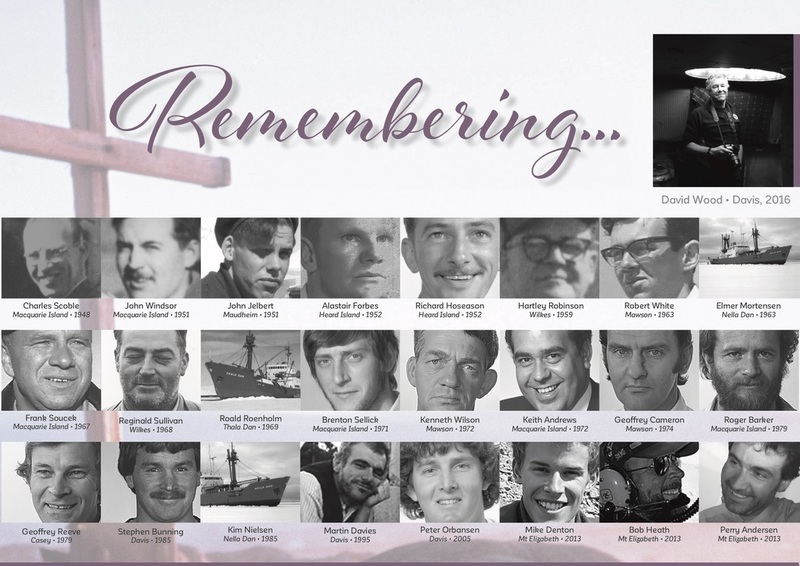 To capture the history of the vessel, the Friends of Nella Dan now host over 75 films of life on board. Whether you were 16 years old, signing on for the first time, or the proverbial "old man of the sea” returning home after a few months ashore, or whether you were about to winter on the South Pole or count krill in sub-Antarctic waters, everyone who showed up at the gangway for the first time felt the tingle of anticipation and apprehension. Nella Danoffered adventure at a time when distances were still daunting and post took months to reach the recipient. Just a quick reminder about the upcoming Cradle Mountain photo workshop and the early bird pricing that finishes on May 31... don't miss out ! 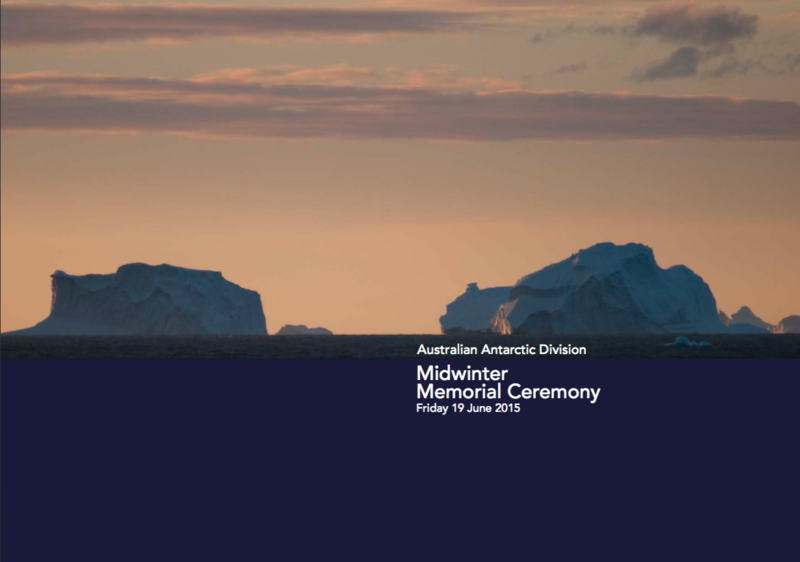 The Tas Midwinter dinner is on Saturday 24th June, 2017 and is open to expeditioners and Aurora Australis crew who have been ‘down south’ and their guests. As a guide, last year's menu can be accessed here. The list of this year's attendees up until 15 May can be accessed here. The Cost: This rate may change in May depending on venue charge. ​Currently we have over 200 people booked to attend, so if you want to come along, and haven't booked (and paid!) as yet HURRY UP! Bookings are not confirmed until payment is made. Very few artists have the opportunity to experience Antarctica, but those that have are often inspired to create wonderful works of art that convey the emotion and beauty of the extraordinary place. 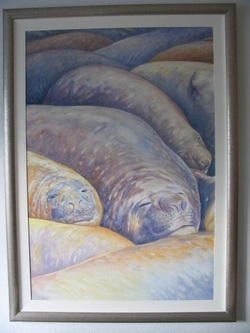 We can enjoy their visions of Antarctica through their work. The Australian Antarctic Festival is pleased to offer a major acquisition prize of $AUD 5,000 to the work judged best by a highly qualified panel of judges. A prize of $AUD 2,000 will be awarded to the second highest-scored entry. Art works are limited to works on paper, canvas, board or other two-dimensional media and may be created in ink, oils, watercolour, pencil or digital graphics. Artists may submit their work for consideration by sending a photographic image of the work for consideration by the judges. Entries judged suitable for display will be invited to exhibit at the Waterside Pavilion on the Hobart waterfront from Thursday 8 September to Sunday 11 September 2016. Prize winners will be announced at the venue on Sunday 11 September. 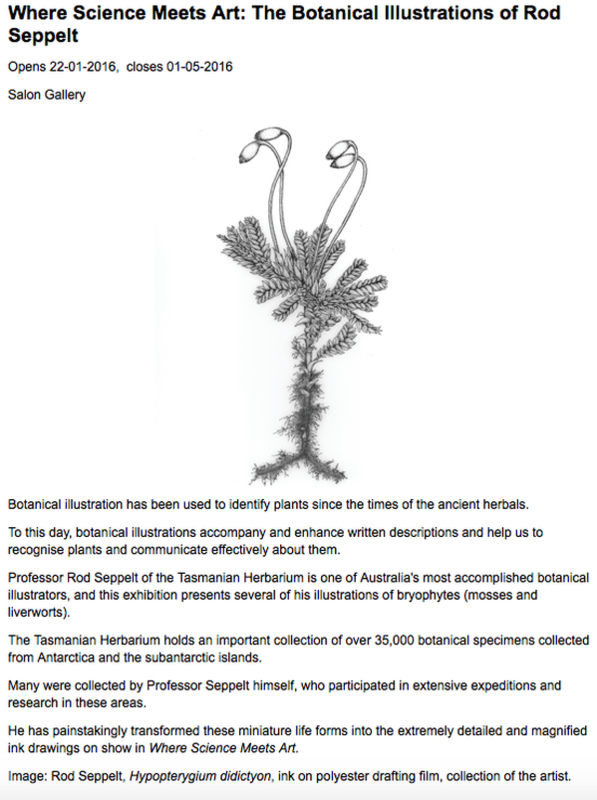 Artists of the Southern Ocean and the AntarcticSubmissions are limited to the artist’s own work, created during or after their own personal visit to the region. Whether as a guest of a national Antarctic program, as a passenger on a tourist excursion or as a working expeditioner, scores of artists are qualified to enter and we encourage international participation. Applications close on Friday 29 July 2016. Terms and conditions apply and you can read them here. The judges will look for the art work that best conveys the powerful impact of a personal encounter with the last great wilderness on earth. While great photography can show us what Antarctica looks like, we look to artists to interpret how the isolation, the remoteness and the stunning beauty of the region affects the individual. 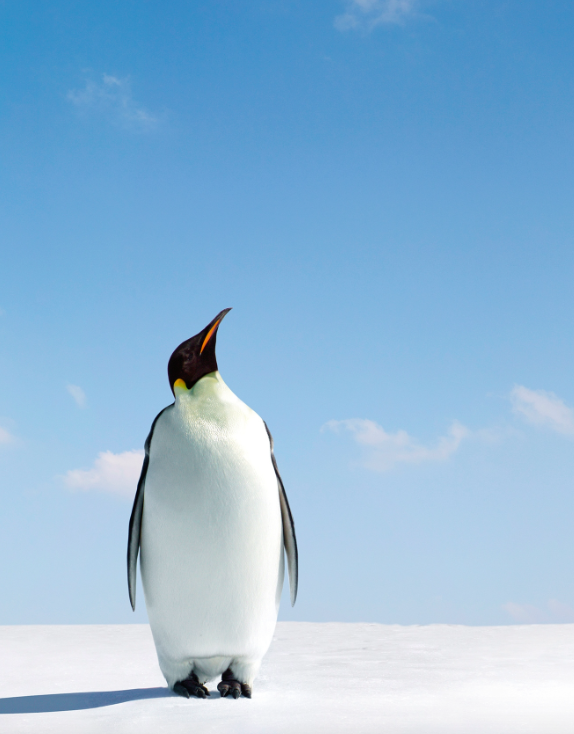 Hobart’s Antarctic community will celebrate the beginning of a new expedition season in Antarctica with THAW – The Hobart Antarctic Week from 8-12 September 2016. 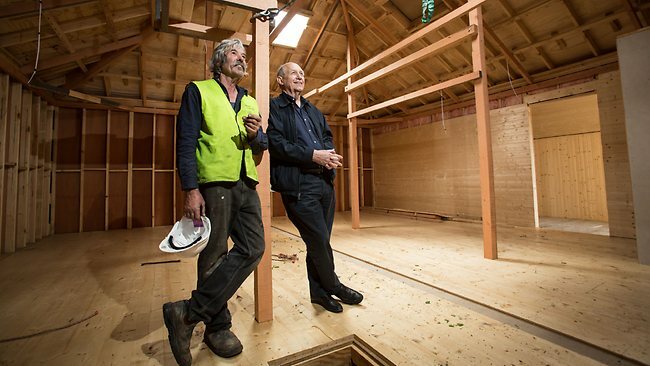 ​A joint venture between the Mawson’s Huts Foundation and the Australian Wooden Boat Festival, the five-day event will present a photographic exhibition, art prizes, lectures and waterfront activities designed to tell you about Hobart’s fascinating Antarctic history and the thriving role that Antarctic science and technology plays in our community. Supported by the Australian Antarctic Division, Chimu Adventures and Events Tasmania, this free public event will give you a chance to peek behind the scenes as another Antarctic expedition season gets underway. Meet the young scientists who will be studying everything from ice to oceans, tiny krill to giant elephant seals in the coldest, driest, windiest environment on earth. Meet the carpenters and cooks, the radio operators and mechanics who keep Australia’s three Antarctic stations going all year ’round. See beautiful works created by talented artists who have been South and learn about the heavy equipment and supplies assembled for the first voyage of the season. 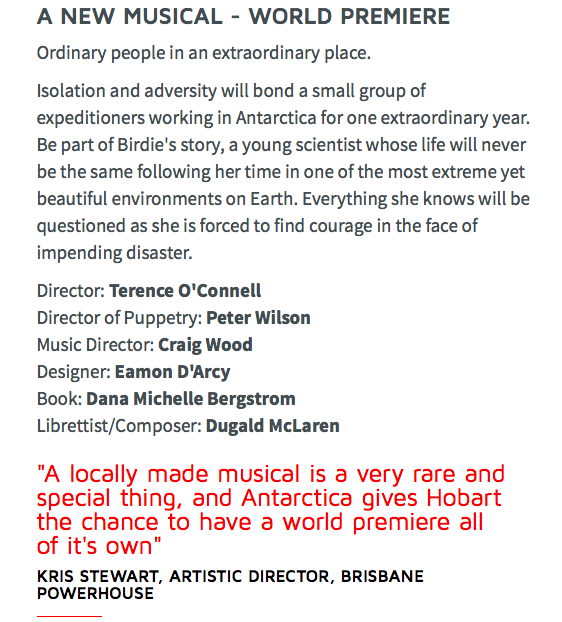 Enjoy a season of Antarctic films at the State Cinema and visit our own Antarctic icebreaker, the Aurora Australis. Scientists have witnessed an extraordinary feeding event as more than 100 whales gorged on krill in the Southern Ocean. Researchers from the Australian Antarctic Division (AAD) saw the spectacle before their ship, the Aurora Australis, ran aground off Mawson Station in Antarctica. The vessel, which broke its moorings in a blizzard last month, sustained damage to its hull and was sailed to Western Australia for repairs. The ship's owner, P&O Maritime, said an available dry dock had not yet been found and the vessel remained docked at Fremantle but it was hoped it would be back in operation by May. Andrew Constable, the chief scientist onboard the Aurora Australis, said despite the setback they witnessed an extraordinary whale feeding frenzy. "There were three humpback whales within 10 metres scooting under the trawl deck," he said. "It was an absolutely amazing sight." Dr Constable said the team had ventured into the area expecting to find a fish-based food system but instead found vast amounts krill present. "The most extraordinary finding was when we came across a patch, a super-swarm in the northern area, where we would never expect to find krill and there was over 100 whales," he said. Dr Constable said the team did not expect to find krill so far north. Results from data collected on the voyage is expected to be finalised later this year and will also be presented at an international conference on Southern Ocean ecosystems in Hobart in 2018. 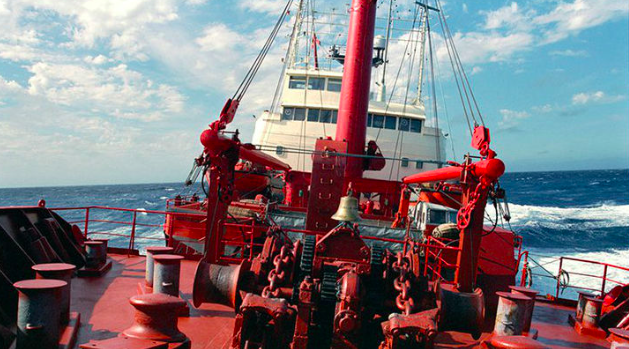 A spokesperson from the AAD said with the Aurora Australis out of action, the French vessel L'Astrolabe would undertake a Macquarie Island resupply and expeditioner changeover. The voyage is scheduled to depart Hobart on March 25 and is expected to return to Hobart by the first week of April. The Northern Lights get all the love when it comes to natural light phenomena but did you know Australia has its own light show – the Aurora Australis? The ‘Southern Lights’ experts tell Australian Traveller why you might want to consider Tasmania before you book your flight to Scandinavia, Canada… or Siberia. Fifteen years ago Margaret Sonnemann was driving from Launceston to Hobart when she noticed something in the sky that made her pull over in shock. This was Margaret’s first glimpse of the Southern Lights. Back then, there was no portal available to discuss this amazing natural phenomenon. Today her Facebook group, Aurora Australis Tasmania, has more than 15,000 members, but the fact that Tasmania just might be the best vantage spot in the world to view the Southern Lights remains largely unknown. 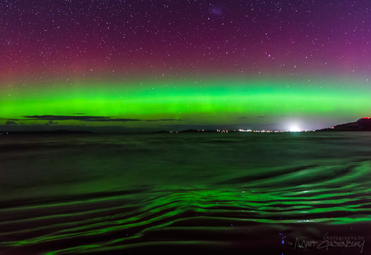 “Australians are so privileged to be able to see the Southern Lights,” Margaret said. We think so too. The Aurora Australis, or Southern Lights, happens when the sun releases a massive burst of solar wind and magnetic fields into space, also known as CME (coronal mass ejections). These solar winds carry particles which interact with earth’s magnetic field, colliding to produce energy releases in the form of auroras. “Auroras are more frequent and brighter during the intense phase of the solar cycle when coronal mass ejections increase the intensity of the solar wind,” says Margaret Sonnemann, author of The Aurora Chaser’s Handbook. Given that earth’s magnetic field is closest to its surface at the North and South poles, Antarctica and Tasmania are the best spots for seeing the Southern Lights given their close proximity to them. If you Google pictures of both the Southern and Northern lights you will see images of skies full of rich greens and vivid blues, or wild swirls of reds and purples. But often this is not what the naked eye can see. Matt Glastonbury (image 1), another avid Southern Lights photographer, revels in the way they move through the night sky. Best spots to see the lights? In short, “all over Tasmania,” says Margaret Sonnemann. The main obstructions to viewing the Southern Lights are large mountain ranges, trees and city (and light) pollution. There are, however, some places that photographers favour due to their landscape qualities. Photographer Paul Fleming (image 2) prefers South Arm Peninsula, 40 kilometres south east of Hobart, for his Aurora views. When do the lights shine brightest? Theoretically speaking the equinox (in September) should be the best time for viewing the Southern Lights, but this isn’t always the case. Since the Aurora is based on sunspots and massive bursts of solar winds, scientific predictions can be unreliable. Unlike the Northern hemisphere, which is subject to extreme seasonal light changes, the Southern Lights can be viewed from Tasmania all year round. It is worth noting (and to some a tad obvious) that the lights can only really be seen at night time, therefore winter is ideal, given daylight savings in Tasmania can stretch the light until 10pm. For smart phone applications, Matt Glastonbury suggests Star Walk, an interactive astronomy guide. Aurora Forecast has several real-time maps of the atmosphere and shows how much it is hitting the earth at any given time. Spaceweather.com includes visual representation of plasma coming out of the sun. As mentioned the Aurora Australis Tasmania Facebook group is often how many photographers find the lights with members posting real-time alerts. The damaged icebreaker Aurora Australis has been cleared to return to Australia but without the expeditioners. The icebreaker ran aground near Mawson Station during a blizzard a week ago, damaging the hull. The P&O Maritime ship was assessed as seaworthy and will make the 11-day return trip with only essential crew on board. Shaun Deshommes from P&O said the risk assessment was thorough. "The assessment has taken four days to complete and has involved thorough internal inspections of each of the tanks affected by grounding on the starboard side," he said. The exterior of the hull was also examined using underwater imagery systems. "Our highest priority is the safety of those on board the ship and ensuring no impact on the marine environment on the Aurora's passage to Australia," he said. Mr Deshommes said the grounding caused only minor structural damage to the hull, and the propulsion and steering capability have not been affected. "Some tanks will require attention on the ships return to Australia," he added. It is not yet known where the Aurora Australis will dock when it returns. "This is dependant on the availability of a suitable shipyard where the repairs will be undertaken," Mr Deshommes said. Stranded expeditioners include scientists, support staffAustralian Antarctic Division (AAD) director Dr Nick Gales said they were working on a plan to bring the expeditioners, now stranded at Mawson Station, to Australia. "Over the past few days the Australian Antarctic Division has been working hard on how to return these expeditioners to Australia," he said. "We have a number of very firm options in place now. "We will officially sign off on these alternative arrangements in the coming days." The stranded expeditioners include 37 scientists and support staff who had been on board the Aurora during a recent marine science voyage, along with about 20 others who had spent the previous summer and winter at Mawson Station. Dr Gales said the expeditioners remained in good spirits. 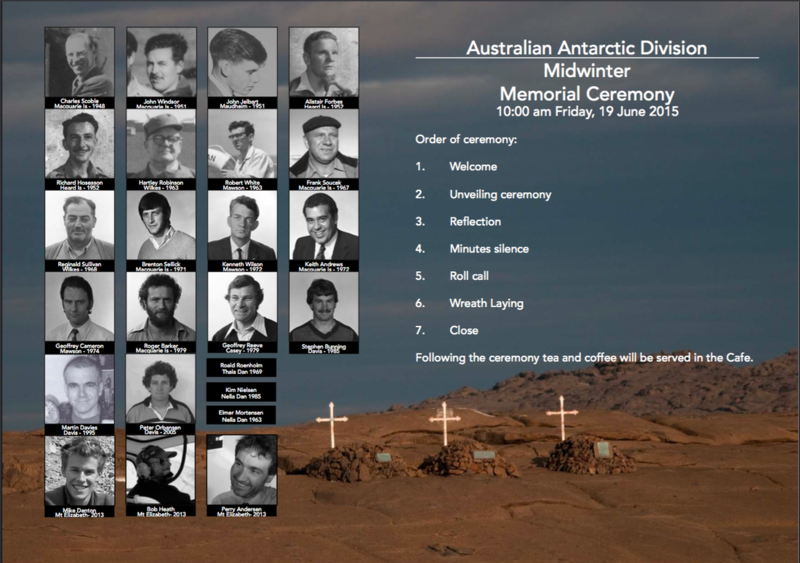 "Many are analysing the data collected on the marine science voyage and exploring the areas around Mawson," he said. Thirty expeditioners from Davis Station who were also scheduled to return on the ship will arrive in Hobart on Wednesday night. 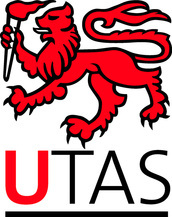 After receiving assistance from the United States, they were flown from Davis to the US-run McMurdo Station, and are flying into Hobart on board an A-319 plane. MICHAEL BRISSENDEN: A British explorer attempting to be the first man to cross Antarctic unaided has died after suffering exhaustion and dehydration. Henry Worsley was 50 kilometres short of making history when he collapsed. LISA MILLAR: Henry Worsley had dreamed of this adventure since he was a child, wanting to follow in the footsteps of his idol Ernest Shackleton who'd tried and failed to cross Antarctica 100 years ago. The Briton set off in October - alone and unaided. He spent 71 days on the ice, travelling 1400 kilometres before collapsing. He was just 50 kilometres short of his goal when he called for help and recording this message. 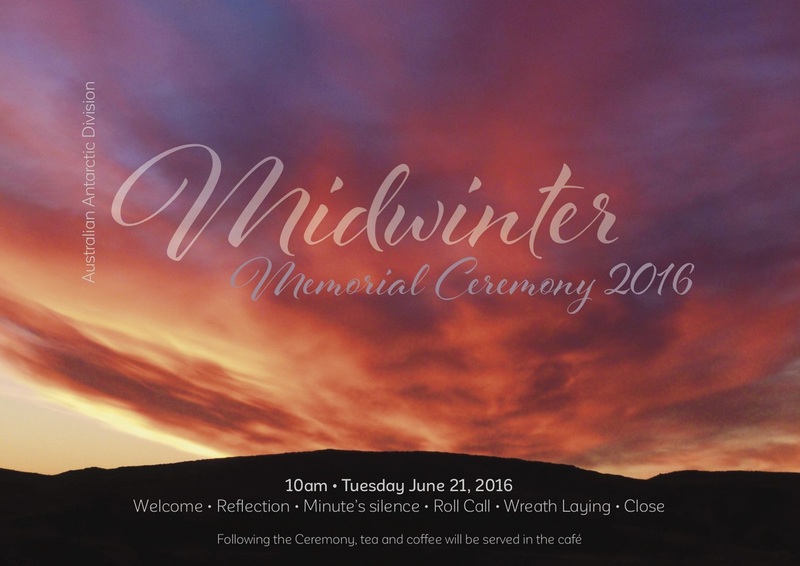 HENRY WORSLEY (recording): My journey is at an end. I have run out of time. LISA MILLAR: He was exhausted and dehydrated when rescue teams found him, flying him to a hospital in Chile. There the doctors discovered the 55-year-old had an abdominal infection and he died of complete organ failure. Henry Worsley had spoken before he left about his solo challenge. HENRY WORSLEY (archival): This is my third visit to the Antarctic and it's different from the other two in that I'm going on my own this time. Everything will be up to me and I think that black and whiteness of the decision making will be apparent from the outset. LISA MILLAR: Princes William and Harry led the tributes, praising his courage and determination. The former army officer was raising money for a charity caring for wounded veterans. He knew the dangers of the polar world, training in Greenland for this expedition, preparing to pull a sled containing his food tent and equipment coast to coast. Fellow explorer Pen Hadow praised his ambition. PEN HADOW: There's a reason why these things have not been done before. They are extremely difficult. And going solo with no resupply and being unassisted in all shapes and forms is the purest form and the hardest form of travel quite possibly on the surface of the Earth. LISA MILLAR: A journey that proved too much, his death mourned as a great loss to the adventuring world. This is Lisa Millar in London for AM. The Christmas Party will start at 11am this year BUT from 11-12pm will be for STAFF/GROWN UP’s ONLY. This will be a time for colleagues to get together and enjoy some Christmas cheer. We are trying to cater to those who find the whole party a bit overwhelming once all 300 people are in the room. From 12pm bring on the kids. The party will be open to all family members from then on. This year we will have the TacoTaco and Big Henry’s food vans on site serving lunch along with our own Antarctic Cafe who will also be open and providing great food for lunch. This will mean you will need to purchase lunch for yourself and your family this year. Popcorn, fairy floss, icecreams and soft drinks will all be free. The Social Club fridge will be full and open for other drink purchases. For those of you who leave your Christmas shopping to the last week we might just be able to help. With the success of the Spring Market we have invited those stall holders making handmade products to come and sell their wares to you once again. There will be 12 market stall holders for you to shop from. A great chance to purchase wonderful home and handmade goodies. The line up includes; brooches, earrings, felted goodies, ethnic antique and modern jewellery, Christmas gift tag & cards, Antarctic bags, aprons & t-shirts, honey, Christmas succulent bowls, gorgeous glass pieces, homemade condiments, crochet pieces and lots more. a gift or scoff on the day. For those bakers who have generously contributed to our stalls during the year you get to kick back and relax this time, we have the making of the goodies all sorted. Now this is EXCITING…bigger and better than ever! $1,000 total prize pool and only 650 tickets available. 1st prize $500 Mastercard- yep cash for you to spend as you like! We then have 5 amazing prize packs on offer each valued at $100 each. (You will get to choose your prize pack if you are present at the draw which will take place just before Santa departs the building on the day of the party). Tickets $5 each or 3 for $10. All proceeds will go back into Your Social Club and also help pay for parts of the Christmas Party. Please email Sue Hillam when you have made a transfer so she can get your names and contact number on those valuable ticket butts sue.hillam@aad.gov.au – Sue will scan and e-mail a pic of your tickets to you so please e-mail her when you have made your transfer. Santa may well have some competition this year in terms of popularity. ‘Our’ virtually adopted greyhound Jenny from Brightside Farm Sanctuary will also be coming along and would love to meet you all. From 11.30am- 12.30pm there will be free pats! Come and meet Emma who runs Brightside and beautiful brave Jenny. We will have live music, plenty of Face Painting, a Balloon Modeller, colouring in for big & little kids and of course SANTA! Please e-mail Mel Pike melanie.pike@aad.gov.au or sue.hillam@aad.gov.au (Mob 0417360867) if you are able to attend on the day so we have an approx. ideas of numbers. Antarctica: A Year On Ice is an excellent and often beautiful documentary about a part of this world that most of us will never have a chance to visit. The film’s director, Anthony Powell, is someone who has spent a good deal of time there. He grew up in New Zealand, but has worked much of his adult life in Antarctica. People often ask him what it’s like to live down here. This film is in part an effort to answer that very question. And it is a film that took him more than ten years to complete. In voice over, Powell tells us: “There really are only two seasons in Antarctica: a busy summer, when most of the science happens, and a wild and lonely winter that few people will ever experience. To understand the place properly, you really need to spend one full year down here on the ice.” And as most of will never do that, this film works as a brilliant substitute, giving us a sense of what the place is like, what its people are like, detailing both the dangers and the beauty. The film offers us some facts at the beginning, such as that Antarctica is larger than the United States of America, and that only five thousand people work there in the summer, and fewer than seven hundred remain through the winter. Early in the film, we are shown people on a plane going to Antarctica, and so it’s as if we arrive with them, experiencing the place as one would who traveled there. It is an exciting way of presenting the film. McMurdo Station is the largest base in Antarctica, with up to 1,200 people in the summer. 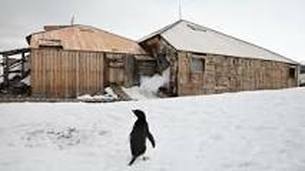 Scott Base is more typical, with a summer population of eighty people (with only ten there during the winter). The film introduces us to several of the people who live there and work at those bases, with Powell interviewing people who spend the winters there, as well as a few people who only are there for the summers. All of it is quite interesting, but of course it’s the spectacular nature shots that really draw you in. And there are many in this film, some of them presented without voice over, so we’re able to take the views in ourselves. There are shots of the sky in winter that are just astounding and gorgeous. And yes, there is some wonderful footage of penguins, some of it quite funny. There is also some fun footage involving an Antarctica 48-Hour Film Project. The footage of the icebreaker ship is also great. Partway through the film, we see footage of folks leaving at the end of summer. And in voice over we learn that when the last plane leaves, that’s it. Those remaining are stuck there for the next six months, with no way out. And that’s when things get really interesting. We learn that winds equivalent to a Category One hurricane occur weekly in winter, and these storms are frightening. The sun sets at the end of April and there is no daylight for four months. Powell and his interview subjects talk about a condition called T3, involving short-term memory loss, which occurs as those winter months drag on. By the end of those winter months, you feel an affinity for those people on screen. You don’t realize just how strongly you’ve identified with them until the footage of the first plane arriving the following summer. The first time the film provided footage of a plane arriving, we were on the plane. Now the perspective has switched to that of the winter folks, and when the first plane arrives, the people on it are seen as strangers, almost as invaders. And that has become our perspective as well. It’s incredible how the film is able to do that. As you might expect of a film that took ten years to make, there are a lot of special features. There are two commentary tracks. The first is by director Anthony Powell. He talks about his process of filming, and how he got his interview subjects. He gives some very specific information on how he got certain shots. He also talks about how it was important to get an editor who had never been to Antarctica so that there would be a fresh perspective. The second commentary track is by director Anthony Powell along with his wife Christine Powell, who is seen in the film. They married in Antarctica, and there is footage of their wedding. In Outtakes And Behind The Scenes, Anthony Powell offers more information about the area, such as the surprising fact that it doesn’t actually snow all that often. Ship Offload Time-lapse is footage of the McMurdo Station annual supply ship offload, including an icebreaking ship moving the old pier out of the way. This whole sequence is kind of amazing. A Penguin Ate My Camera is seriously funny footage of a penguin attempting to eat the camera. Perhaps the most interesting of the special features is Saving Scott’s And Shackleton’s Huts. The Antarctic Heritage Trust works to conserve expedition bases used by explorers Robert Falcon Scott and Ernest Shackleton, and this special feature is a short documentary on that project, with interviews with many of those involved. The DVD also includes a radio interview with director Anthony Powell. This is audio only. He talks a bit about his job and the daily routine at the base, and also about the winters and the effect of the cold on his cameras. The theatrical trailer is also included. 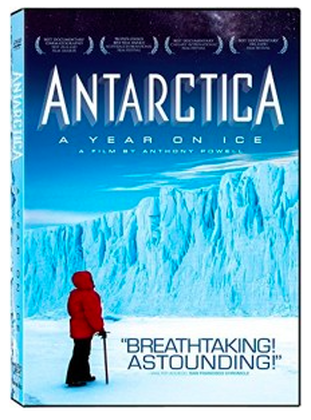 Antarctica: A Year On Ice was released on DVD on April 14, 2015 through Music Box Films. Received an email from Professor Pat Quilty with a copy of a paper published in 2004 by Peter Goddard and himself of the diary of Herbert Victor Goddard. Herbert was Peter's father. He was second steward on the SY Aurora that picked up Douglas Mawson and returned him to Adelaide. He kept a diary during the voyage.